Don’t forget to save Saturday, April 9th for our…. UPDATE… still looking for Team Managers! Coaches! & Players! MR1 Team Manager – Thank you for all that responded and we have a candidate filling that post as we speak! Let’s help them fill this challenging role. Our local team is back….let’s join them in their UNVEIL EVENT of their new adidas kit. You’ll have the opportunity to meet the 2016 Ottawa Fury FC squad and coaching staff who will be on-hand to chat and sign autographs. Even more….get FREE 67’s tickets. 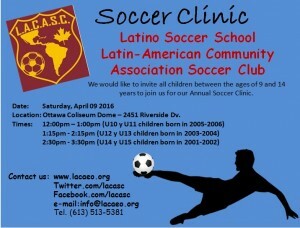 LACASC Youth friendlies – TOMORROW Sat Mar 19th! 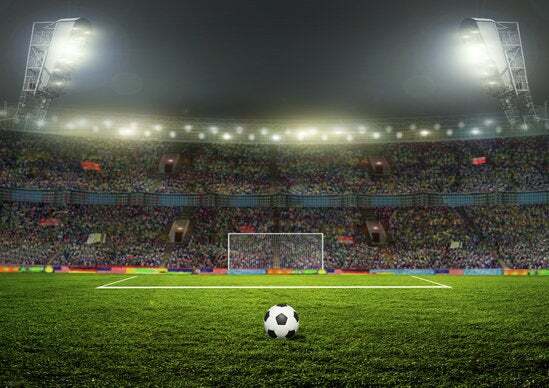 International Women’s Soccer – Brazil vs Canada – TD Place is thrilled to announce that it will host a match between the Canadian Women’s National Team and 2016 Rio Olympic host nation Brazil on June 7th as part of Canada Soccer’s Road to Rio. Tickets go on sale Tuesday, March 22 at 10 a.m.
LACA SC Open for Adult Summer Registrations! Summer is almost on top of us! If this March weather is any indication of things to come, be ready and join us for a fun filled Summer 2016 of local soccer! Contact your favorite Team Manager and have them instruct you on our new online payments and registrations systems! To guide you and help you get started, read our Online Payment & Registration guide…! Any questions please let us know at registrations@lacaeo.org. LACA SC partners with BP! L.A.C.A. S.C. is pleased to announce its partnership with BOSTON PIZZA Hunt Club. More details on the benefits for LACA members will be made available soon. 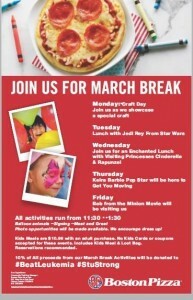 Meanwhile, Boston Pizza Hunt Club (521 West Hunt Club Road) has organized lots of fun activities for children to enjoy their March Break. Lunch with Jedi Rey from Star Wars, meet and greet Princesses Cinderella and Rapunzel, and so much more! EODSA important notice RE new player cards! The following changes will be starting March 1st to the ID Card process. Depending on your club you may now have to start paying for your card. The club’s have been given the option, please contact your club to find out if you are required to pay. Payment must be done online when you create the card. The EODSA will not accept payment in office. You must create your ID Cards using our online creation site, which can be found on the EODSA website, http://www.eodsa.ca. You can no longer come to the office to get the card created. However, if you create the card online you can still come into the office to pick up the card when it is ready.